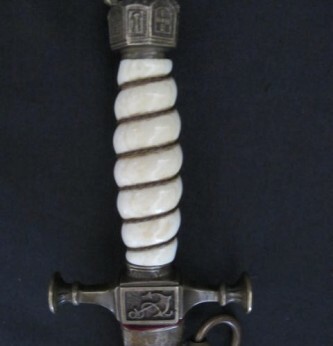 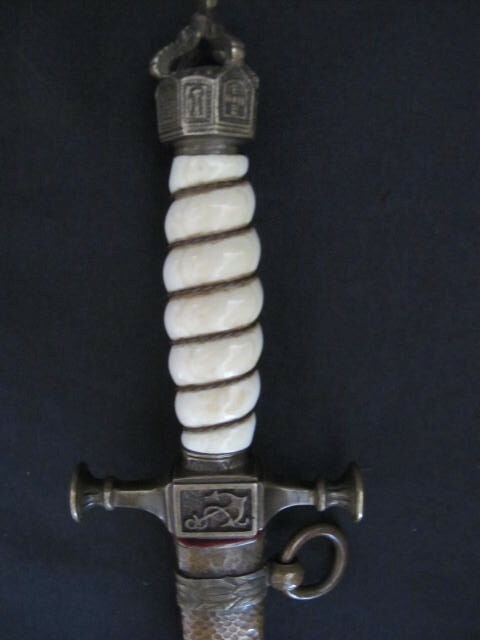 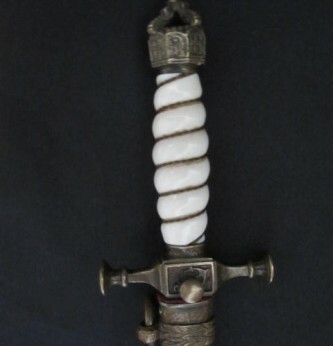 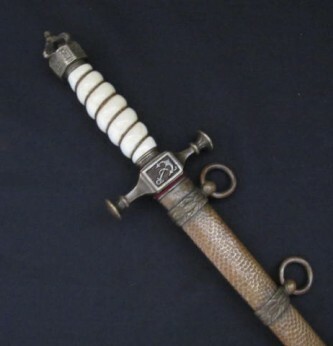 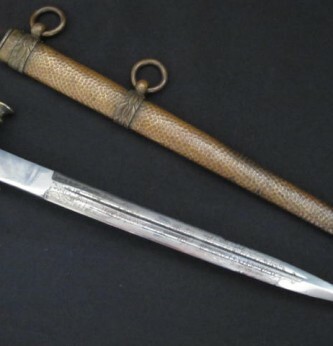 Imperial German Naval Officers Dirk. 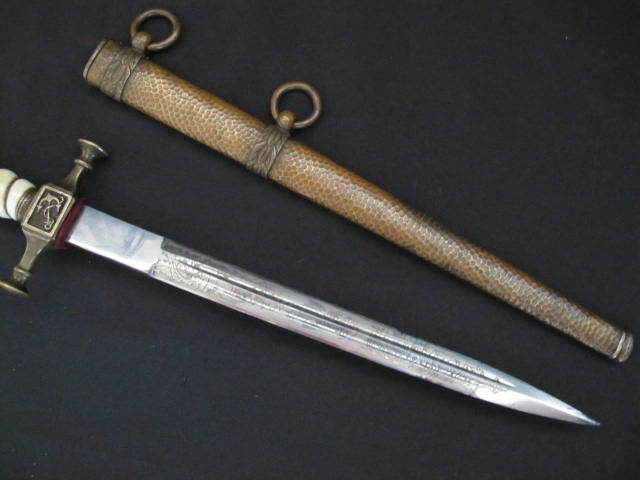 Ivorine grip in good condition and complete with original wire. 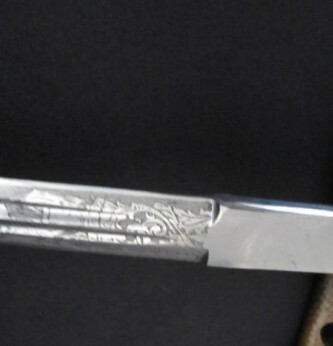 Imperial crown to top. 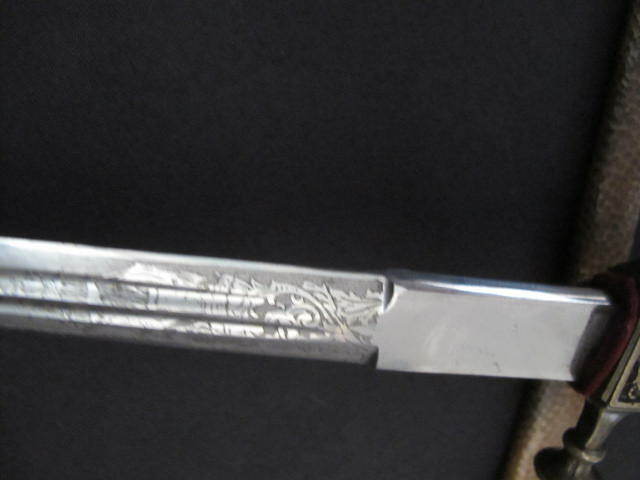 Excellent etched blade with sailing ships and anchors. 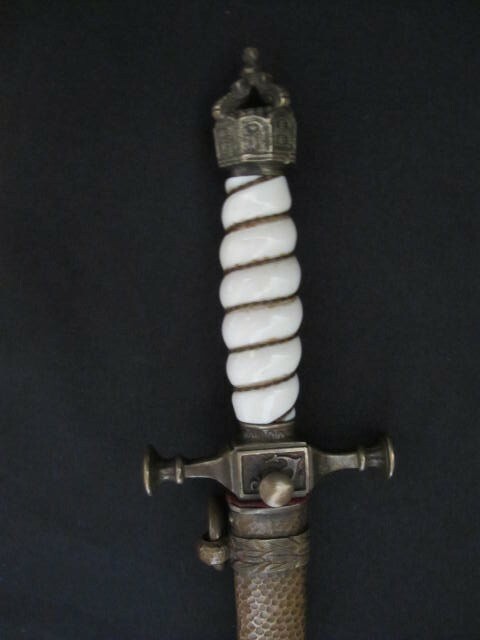 Fluted blood channels. 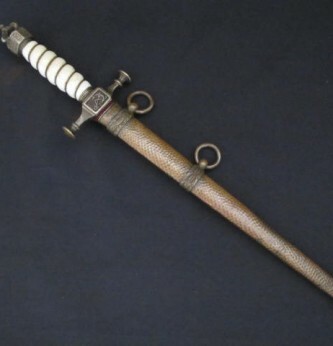 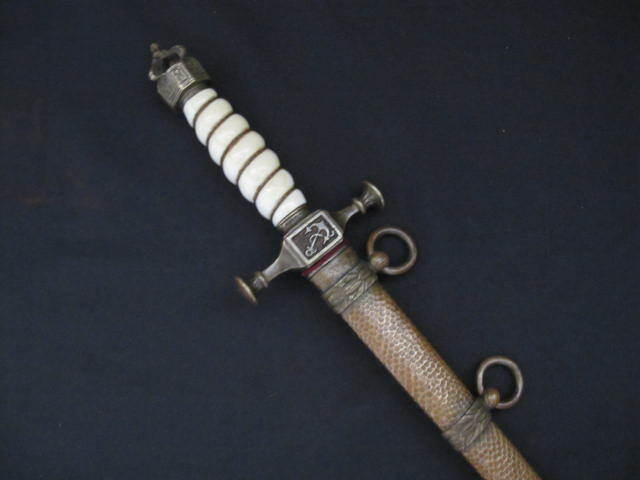 Complete with its correct hammered scabbard in good condition with no dents. 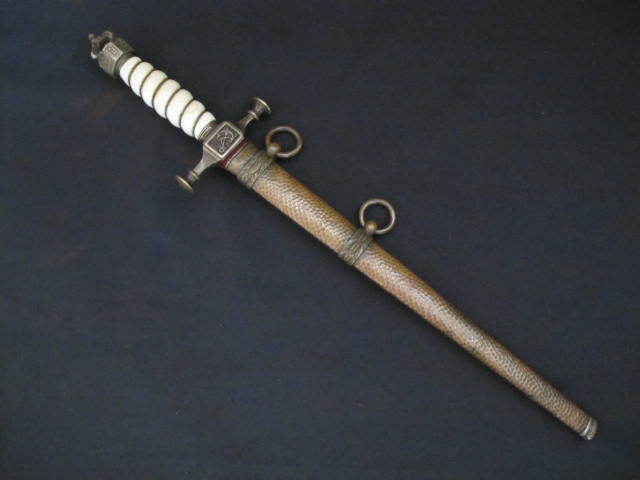 A nice sleepy example of a Imperial Naval Officers dirk which are now hard to find in this condition.